*This measurement results in a somewhat mild flavor. Add one or two more teaspoons for a spicier chili. 1. In a large pot or crockpot combine beans, canned tomato, onion, tomato sauce, cumin, chili powder and homemade taco seasoning in a slow cooker. Place chicken on top and cover. 3. A half hour before serving, remove chicken and shred with a fork or tongs. Return chicken to pot or slow cooker and stir in. Serve with fresh cilantro and diced 1/4 avocado. This is my all time favorite chili. 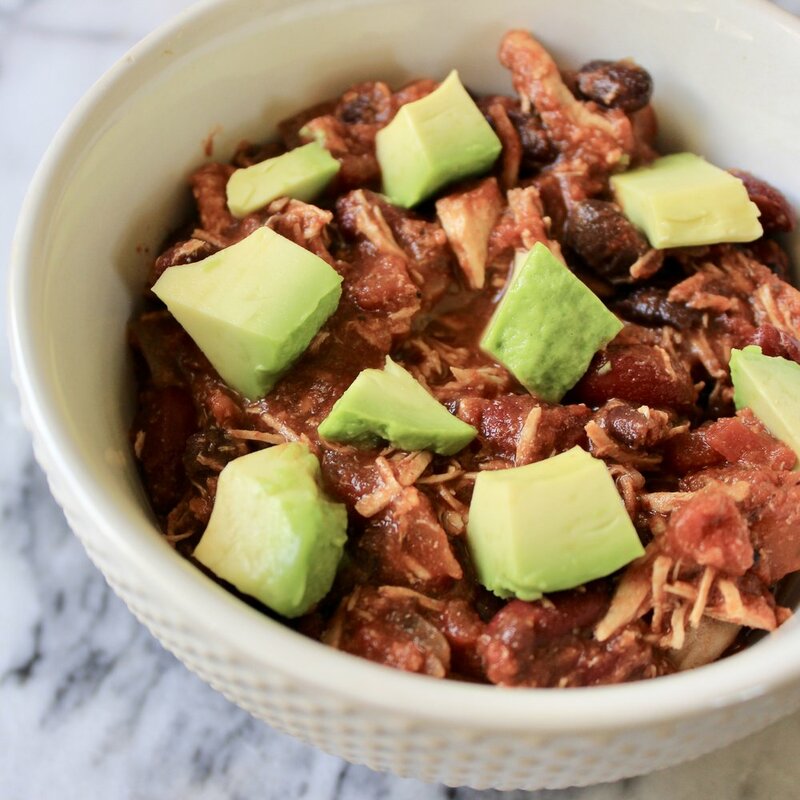 I love the pulled chicken rather than the traditional ground turkey or beef. It’s such a comforting dish and one that freezes great if you make too much or double it to have some on hand for those last minute dinners.